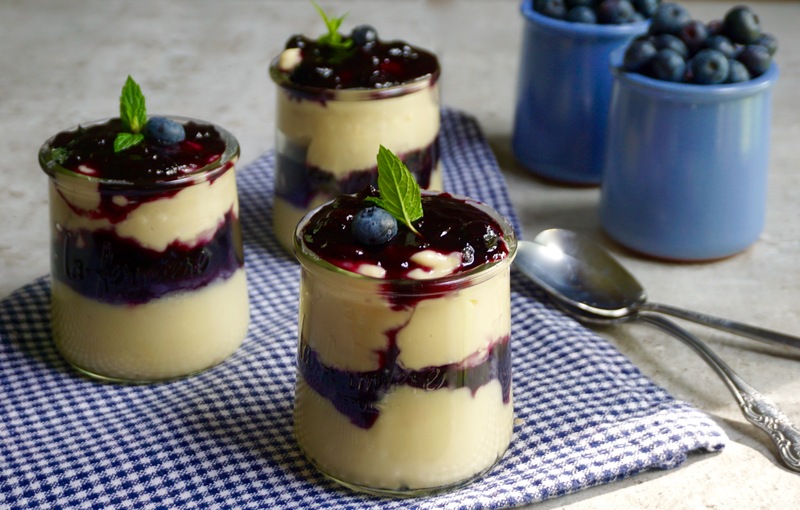 Blueberry Custard Parfait combines fresh summer blueberries with creamy vanilla custard. It is a simple dessert that is refreshing and pretty with layers showing through a clear glass. The blueberry compote on it’s own would also be good on top of pancakes or waffles. 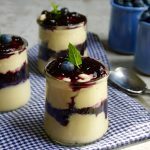 I live in Connecticut and we are in the height of blueberry season. I will use blueberries in my cooking or baking as much as I can right now, and I will buy extra blueberries and freeze them for later. 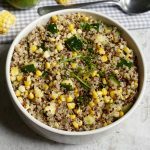 If you have never tried this before, it works very well as long as you are going to use the frozen blueberries for cooking or baking. You can just take fresh blueberries and pour them onto a rimmed baking sheet. Place them into the freezer. They will freeze individually this way. 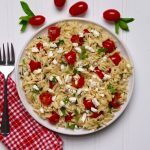 Once frozen, transfer them to a container or freezer bag. When you are ready to bake with the frozen berries, measure what you need, check for stems and rinse. Add them while they are still frozen to your recipe. I bake my Blueberry Muffins all year round and I save a great deal of money this way. To make the custard, whisk together the sugar, cornstarch and salt in a medium size saucepan. Pour the milk into the pan and heat over medium heat, whisking constantly until it comes to a boil. Once it is boiling, let it continue to bubble for 30 seconds while stirring constantly so it thickens fully. Remove from the heat. Beat the egg yolks. Pour 1 cup of the custard into the yolks in a stream and whisk briskly. Pour the egg mixture back into the pan with the remaining custard and bring it back to a simmer over medium low heat, whisking constantly. Simmer for 30 seconds while stirring. Remove from the heat and add the vanilla, Cool completely. 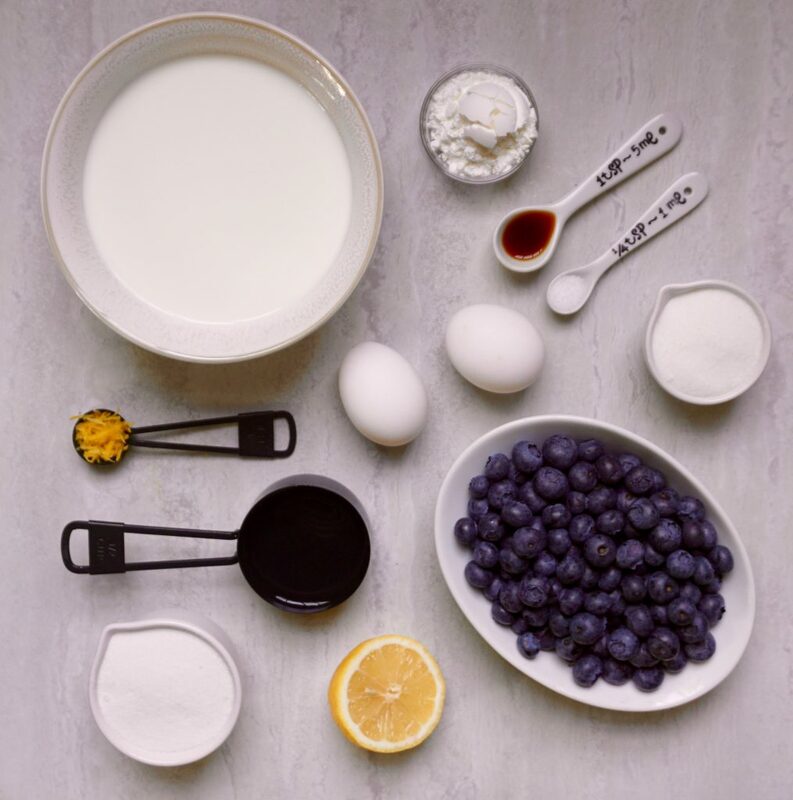 To make the blueberry compote, add the blueberries, sugar, water, lemon juice and lemon zest to a medium size saucepan. Bring to a boil over medium heat. Reduce the heat to low and simmer for 8 minutes until blueberries are cooked and slightly broken down. Dissolve the cornstarch in the tablespoon of water. Pour into the blueberry mixture and stir it in well. Simmer for a minute or so until the mixture thickens. Remove from the heat and cool completely. Place ½ cup of the custard mixture into the bottoms of 4 twelve ounce serving dishes. Next spoon 2 tablespoons of the blueberry compote over the custard. 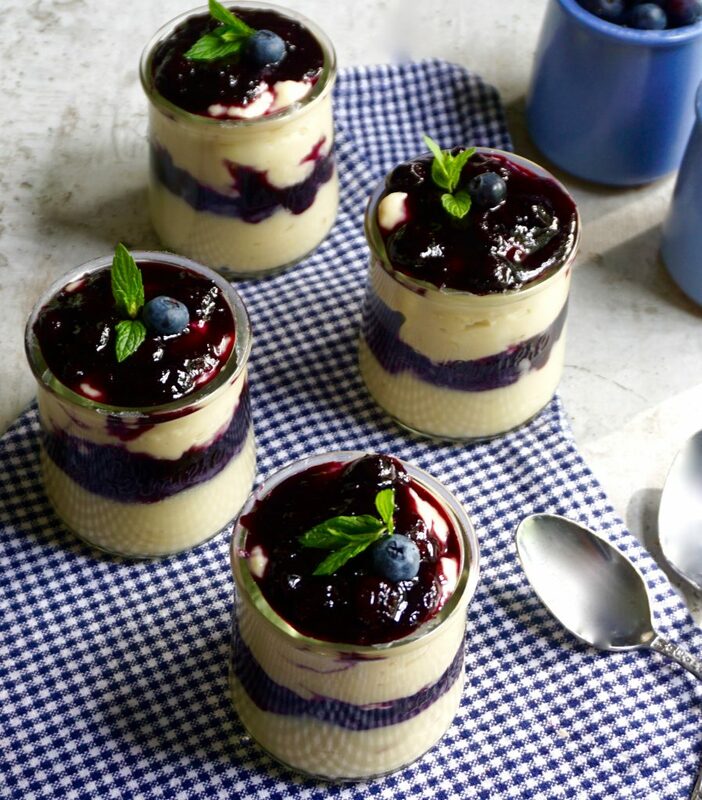 Repeat with another ½ cup of custard and another 2 tablespoons of the blueberry compote. Chill until you are ready to serve.